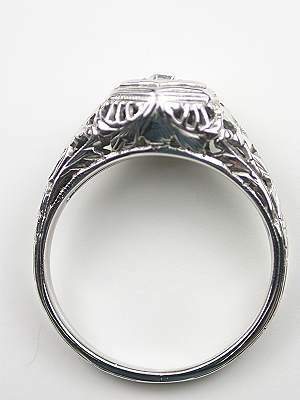 Lovely apple blossoms dapple the sides of this floral and filigree antique engagement ring. 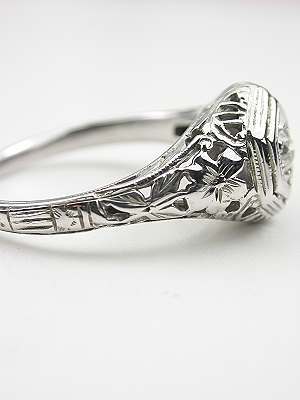 Flowery blooms are carved into the shoulders of the 18k white gold filigree setting of this antique engagement ring. 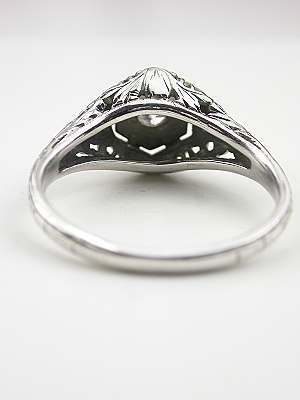 The top of this antique ring consists of a triple-tiered hexagon. 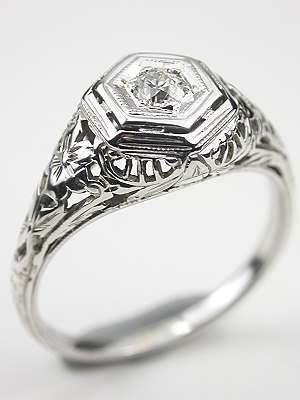 Tucked in the midst of this three-dimensional geometry is an old European cut diamond. Circa 1920. 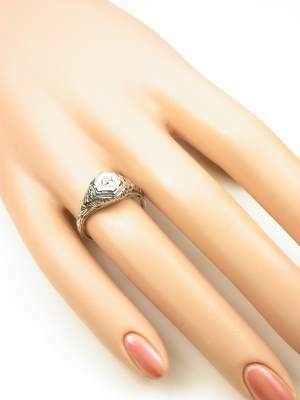 Special characteristics This antique engagement ring features a classic floral and filigree design mounting. 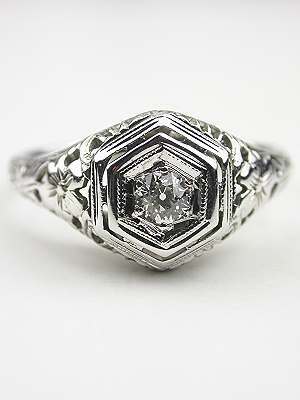 One old European cut diamond is bead set in a hexagonal top plate.